I find the human mind endlessly fascinating, and through my previous jobs had the opportunity to interact with people in exceptional circumstances. 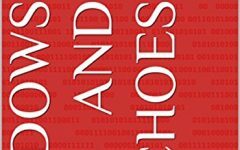 As a reader, I enjoy psychological thrillers and mind games, so I try to deliver the kind of book I would want to read. Detective Ava Cole, one of the characters, is from LA, and I had the opportunity to return to one of my favorite destinations in the name of research. Due to circumstances beyond my control I nearly missed the flight on the way back, and ended up sprinting through LAX with my heels in one hand, bag in the other and bleeding feet from said heels! The biggest challenge was using my own experience of PND to shape some of the characters. It is still a very raw memory and I needed to convert this to something readable, but still, hopefully, painful. Setting. My late father-in-law grew up in the valleys of South Wales and he painted a diverse and fascinating picture of the isolated communities and village life. There is a lot of emotion and mind games in this book, and I feel it is very much about strong women. The men are not sidelined of course, and are fully developed characters in their own right, but I think it is the women who shine through. Terrible things might happen, but they have this amazing inner strength and resilience. Why did you set the book in Wales when your main character is based in LA? D. E. White started writing fifteen years ago, scribbling ideas on napkins at work on the night shift. After having a family, she decided to pursue her dream of becoming a writer, and despite getting distracted along the way, by family commitments and other business opportunities, she self-published a novel in 2012. By 2015 she was published by a US small press, and in 2017 Daisy signed with one of the UK’s largest independent crime publishers, Joffe Books, for her 1960’s Ruby Baker Seaside Mysteries. The books went on to become Amazon bestsellers. In 2018 Daisy signed a two book deal with HarperCollins imprint HQ Digital. 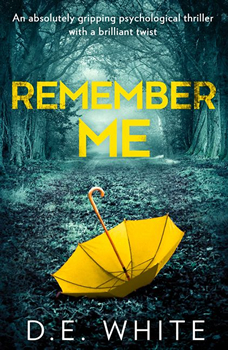 REMEMBER ME, her first psychological thriller, is out Feb 6th 2019 and now available for pre-order in Ebook, paperback and audio. In addition, one of her flash fiction stories, Ripe Tomatoes, was optioned and made into a short film by independent production company, Singularis. Having previously worked as cabin crew, and as a 999 call handler for the ambulance service, Daisy now writes full time. 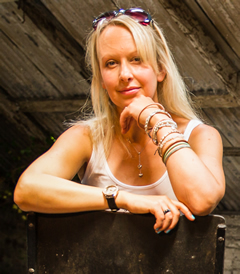 Daisy is a multi-award-winning entrepreneur, speaker, Reading Patron, and mentor. She is a passionate supporter of independent business, and was part of a small business delegation speaking at Number 10, Downing Street in 2015. Daisy loves to share her writing and business journeys, and inspire new writers to put pen to paper to start their own creative journey. To learn more about Daisy and her work, please visit her website.